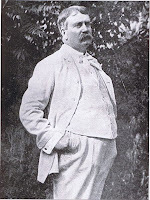 Peter Feinman may be the Daniel Burnham of New York History. Burnham, born 1912 in Henderson, NY, was an architect and urban planner. Among his many projects were the Flatiron Building in NYC and master plans for Chicago and Washington, DC. He once told his colleagues “Make no little plans. They have no magic to stir men’s blood and probably themselves will not be realized. Make big plans. Aim high in hope and work.” Peter stirs the blood of those of us who want to encourage appreciation for and preservation of our state, regional, and local culture and history. He’s great at pointing out bureaucratic folly, confused thinking, and just plain laziness in every quarter, and he offers useful advice about promoting what I would call a place-based agenda. I’ve often hesitated to engage Peter—in person or here on New York History—precisely because he doesn’t think small, and I feared my ideas would fail to stir souls. As someone who works with teachers and informal educators at museums, historic sites, parks, and so on, stirring souls means taking on those whose actions, if not words, are changing for the worse the way all of us think and talk about education. As individuals the folks I serve often feel there is little they can do to change decisions being made at the state and national level. These actions increasingly equate learning with test scores leaving shallower curriculum in their wake. Teachers and informal educators also often feel powerless to alter an amorphous atmosphere that seems bent on erasing every opportunity to draw on students’ interests, community happenings and resources, or their own creativity. Yes, they encourage their organizations to do the right thing when these issues are on the table, but many aren’t really interested in becoming policy experts or spending time lobbying. Yes, they apply for grants to make field trips possible, even when they’ve been cut from district budgets. If they have time they may get to know the staff at the local historical society, museum, or environmental group. But where, I wondered, is the BIG idea worthy of Burnham or Peter? I think I may have found it in one of my favorite blogs, “Bridging Differences,” published by Education Week. Taking turns, veteran educator and author Deborah Meier and NYU education historian Diane Ravitch take on the biggest issues in education sharing insights, differences, and more. In her June 7 post, Meier articulated perfectly a big idea many teachers and informal educators I know live by even if they don’t articulate it as bluntly as she does. Early in her career Meier was taken aback when “a lady arrived from ‘downtown’” and criticized her classroom. It seems Meier wasn’t following “the curriculum guide” and had instead interpreted its themes in ways she thought would engage her students including, as it happens, anchoring it in the place she was teaching.As Meier puzzled over how to respond to the lady from downtown, her colleagues “came out of hiding,” Meier wrote, and reassured “me that she’d never be back. They apologized for not having explained ahead of time what one does in such circumstances. Which is, essentially, to lie and apologize.“I spent many years following that advice—and truly no one ever ‘came back.’ And I passed on this advice to student-teachers….” Meier added.So, is the big idea “lie and apologize?” Maybe. But maybe it’s this: while we’re trying to change curriculum, standards, tests, and all the other constraints that make it hard to incorporate place-based learning, let’s do what we can to let teachers know that we want them to use their judgment and creativity even when it feels like no one else does. 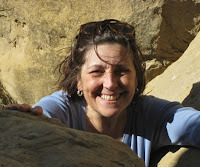 Debi Duke is coordinator of Teaching the Hudson Valley, a program of the Hudson River Valley National Heritage Area & Greenway, the National Park Service’s Roosevelt-Vanderbilt National Historic Sites, NYS DEC’s Hudson River Estuary Program, and the Hudson River Valley Institute at Marist College.